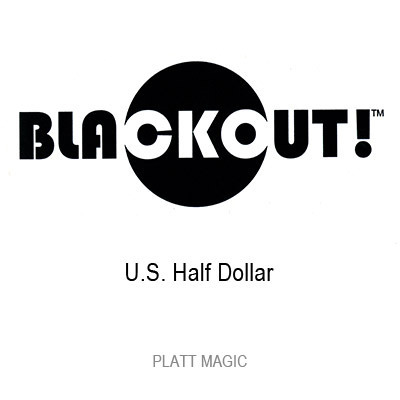 Today, when you order "Blackout (US Half Dollar, With DVD) by Brian Platt - DVD", you'll instantly be emailed a Penguin Magic gift certificate. You can spend it on anything you like at Penguin, just like cash. Just complete your order as normal, and within seconds you'll get an email with your gift certificate. This magic is some real good thinking, work and technique as to making it happen, including the meticulous hands of Master Craftsman, Roy Kueppers and his work is beautiful. Trust me, youre going to want this. 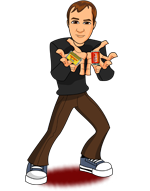 Platt has also some follow up tips and advices besides the DVD on his website. Great purchase!!!!!! Get it if you're a serious coin worker. Just Awesome. Everything is good about this. You can do so so so many things with this outstanding coin. I recommend this like there is no tomorrow. P.S. a sleight of hand close-up full manipulation illusion. O.M.G. 4 the gimmick it's a bit high not a lot of angle problems but U still need to be careful with certain moves. But it does clean up SOME tricks done with halves. Opens up so many possibilities. I have something similar that I made, but does not compare. Love it! I can't believe I didn't buy this sooner, shame on me. This is such a great utility coin. If you do coins across there is no cleaner way to vanish the last coin. There are many sure fire routines on the DVD as well plus a tips section on his website. Some are quick and to the point routines that look so magical. There are no angle issues and the moves are invisible and easy, any skill level. 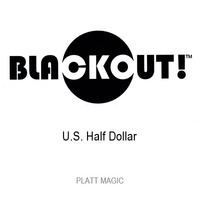 If you do coin work this is a must have and also a great reason to start doing coin magic! !